In my experience, undoubtedly IT projects within the UK health care industry suffer the most from Scope Creep. This is the reason why so few successful projects are delivered in this sector; why they rarely meet the needs of users and why they are almost always significantly over budget. To give you an example of what the terrible impact of scope creep can be, within the NHS there is currently a huge IT programme to deliver the computerisation of all patient medical records. This involves linking up 30,000 local General Practioner Doctors with 300 hospitals. It sounds do-able doesn't it? And at a cost of of $4.6 billion (yes you did read that correctly) should be easily deliverable by some of the best project management minds in the business. So where is this programme now? Well it's 4 years late, still has no launch date and to date has cost $25.4 billion. Yes you may well rub your eyes with amazement at that figure. After all the largest commercial passenger plane, the Airbus A380 only cost £15 billion to develop and deliver. In desperation the UK Government has finally given the major suppliers an ultimatum of 7 months to get the programme turned around. Sadly in the UK the reality is that pretty much every Government IT project and programme has gone massively over budget, failed to meet user needs or has not delivered at all. The reason is straightforward. Accurate Requirements were not documented in the first place, and the project scope was not properly managed. Basically instead of finding a way to stop the scope creep, many found it easier to simply include them into the original project scope and then push the timeframes out. In the UK public sector there has always been enough money to simply increase programme budgets without it being an issue. Which of course is the reason why the one IT Programme mentioned above was able to easily increase budget by almost 600% without it raising eyebrows. Now of course the private sector doesn't have the budget, time or tolerance to allow such scope creep, but it still does happen. The difference of course is that in the private sector if you allow a scope creep to get out of control you will quickly find yourself replaced, and worst still, your career adversely affected. 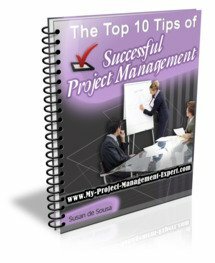 I have seen instances where Project Managers have had to wait another 5 years and re-climb the career ladder simply because they messed up the delivery of a high profile project by failing to tackle the scope creep. Remember that in project management reputation is everything. Allow scope creep to get out of control on a project you are delivering and unless you move organisations fast, it will take years for you to be trusted again on something business critical.